Akira Thompson’s striking work challenges one of the biggest misconceptions about police violence against black people in America, and offers privileged players the chance to experience the truth. As designed systems, games can create spaces for people to grasp how infrastructures work, to test theories—and often to internalize how the systems of our world may not work, may promote inequality. They can be tools to create empathy and reveal injustice; they can illustrate the often-complicated answers to the “why can’t you just” and “but it’s probably not really” that pervade rhetorical discourse. As human beings, it is often hard for us to accept that systems are unfair. It is also hard for many of us to want to change unfair systems when their unfairness favors us; we understand logically the disadvantages of others, but we can carry on shrouded comfortably in our denial for as long as we don’t have to be confronted with their emotions. For example: Black Americans are disproportionately more likely to be killed by police than anyone else; it’s a fact we know statistically and empirically, brought into sharp relief in recent years by the volume and pace of social media and the work of activists online. But even though black victims of police violence are likely to be unarmed, marginalized, or even already in custody, pernicious myths persist to poison the conversation about justice: the common illusion that if the latest victim “had only” done this, or not done that, or had been wearing something different or walking somewhere else or had spoken up or had not said a certain thing, they would not have died. 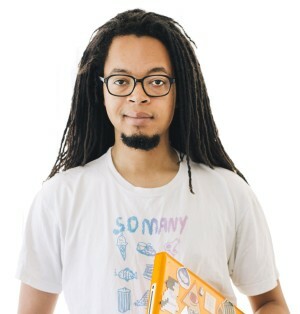 Akira Thompson is a game designer and programmer with a master’s in games and playable media from UC Santa Cruz’s Computer Science Department. He’s also an Iraq War veteran, former Disney Imagineer, and founder of social art creative firm RainBros. Alongside the conversation about police violence, Thompson felt frustrated at these pernicious if-onlys, the insidious idea that black behavior must somehow take the lead to save black lives. “The day of the verdict of the Grand Jury that was choosing not to prosecute Darren Wilson [the former police officer who shot and killed Michael Brown, an 18-year-old African American, in Ferguson, Mo., August 9, 2014], I had a couple of friends on Facebook that seemed to place more interest in the fact that there were protests that became riots and property was being damaged, rather than the fact that a young man was killed,” Thompson reflects. Inspired in part by Oluo, Thompson designed &maybetheywontkillyou, a live game experience where a player takes the role of a poor black American attempting to go to his corner store and return safely home. Along the way, they encounter microaggressions from strangers to the neighborhood, as well as from law enforcement. These can range from humiliating to lethal. One player acts as the “Subject,” the other as the “System.” The Subject moves one theoretical space at a time, and in each space, the System draws for them a random event card—for example, a car you pass has locked its doors on sight of you. Or a police cruiser catches you in its spotlight. For each event, the player may choose to say nothing, or to speak. Every time the Subject speaks, the System quite literally rolls a die. Whenever the result is higher than “1,” the System silently consults the penal code. If the Subject chooses not to speak, their “Frustration” score increases, a number that always gets added to their result against the System. In other words, speaking up for yourself always risks a negative interaction with law enforcement; staying silent just defers that risk to later. The game can end with the Subject making it home safe despite indignities, physically carrying their own Frustration score counter. Or it can end with the Subject dead. Your words are viewed as disrespectful, the game may decide. “I wonder how someone like you doesn’t have any warrants out,” an officer says, after searching you and spreading your things on the sidewalk for all to see. The officer believed their life was in danger. The officer’s weapon was discharged in self-defense. There is a digital version of the game available on the Rainbros website (rainb.ro) that acts as a basic demonstration of how &maybetheywontkillyou’s systems work. But Thompson’s game design for the live experience incorporates thoughtful elements that enhance its impact: The System always rolls the outcome dice; the player is not allowed to touch them. Neither is the player allowed to touch, hold, or look at the “Resolution Penal Code” binder that the System player uses to determine the outcome of the roll. Although the focus of the game is on the experience of the black American, the person who plays as the System has no other choice but to bear power against them; the System player has no option to compromise or assist, only to sit with the discomfort of complicity while the other player suffers. The penal code binder even has the dispassionate, opaque look of a police document. The Subject player must carry their own Frustration Counter—and the rules say the player must always wear a black hoodie, forcing them to actually inhabit the stereotype of white America’s fears. Thompson has been influenced by other game designs that create empathy through their mechanics; on the day of the Darren Wilson verdict, his professor, Brenda Romero, was talking to the class about Train, an iconic board game she made about the holocaust (“human-on-human violence has a system,” she says). Thompson was also influenced by Mainichi, a game [play and games critic] Mattie Brice made about her experiences of life as a mixed-race trans woman, particularly the elements of repetitive, harassing events. He also says Dys4ia, a playable diary by [video game designer] Anna Anthropy, helped him understand how powerful a game about experiences entirely other than your own can be. Thompson continues to apply to show &maybetheywontkillyou at festivals, and says he hopes to teach others the particulars of how to show it. For now the digital version still acts as a basic intro to his game design: “I feel the live action role play version is more powerful and successful, as a healthy conversation can follow, but I’d like the ideas to get out there as far as possible,” he says. Editor’s note: This story was originally published in Offworld on August 5, 2015. It is reprinted with the permission of Leigh Alexander. Akira Thompson received his master’s degree in 2015. This story was edited to refer to him as an alumnus rather than a grad student. War and recession hit Akira Thompson hard. First came a stint in the Army, where Thompson drove a five-ton truck through the dangerous landscape of Iraq’s Sunni Triangle. Then, it was the collapse of the U.S. economy, which forced the Illinois native from a promising tech job into minimum-wage employment. For Thompson, those two experiences could have been crushing blows. Instead they drove him toward what he is today. The 32-year-old with a master’s degree from UC Santa Cruz’s Games and Playable Media program not only heads his own indie game company and has appeared on the 2011 Forbes list of “30 under 30,” but he is creating live action games that force people to examine culture in ways that are both entertaining and enlightening. Finances drove Thompson into the Army at age 19 because he couldn’t afford college. Shipped to Iraq, he was assigned to an air base outside of Tikrit, where he transported soldiers and equipment through a risky terrain of mortar shells and improvised explosive devices. In one close call, he says, he escaped injury from a roadside bomb because he’d steered his truck along the middle of the road instead of closer to the shoulder. After 11 months in a war zone, things didn’t get easier for Thompson. Back home, he finished college, but the recession knocked him out of a good job at a tech startup. He worked a noisy espresso machine at a coffee shop and also ran a small art gallery to make ends meet. It was a heady time but Thompson wanted to improve his skills. 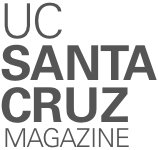 He left a job at USC and came to UC Santa Cruz, drawn by news that the campus had hired renowned game designer Brenda Romero to head a master’s program in games and playable media. “I took grad school as an opportunity to study with someone whose work has deep political and emotional meaning,” Thompson says of Romero, who is best known for her work shaping role-playing games and for the stunning non-digital series, “The Mechanic is the Message,” which explores events like the Holocaust and the slave trade. Romero, Thompson says, help push him to new levels, to think in different ways. Soon, Thompson will release RainBros’s first commercial game titled Stop! Thief! It is a political satire that takes its players into a world where punishment—as in real life–often scales in the opposite direction of the crime’s severity. A petty street robber is much more likely to get jail time than a dishonest bank president who swindles millions, for instance. The game came out of Thompson’s experiences with the 2008 financial crisis—a way to entertain but also explore modern culture and society. It also is directly related to his time in Iraq. “Maybe I didn’t pull any triggers, but I’m partially responsible for people getting hurt, for lives getting disrupted,” Thompson says. “I make games that have a positive social impact to counteract the negativity of what I’ve been part of.